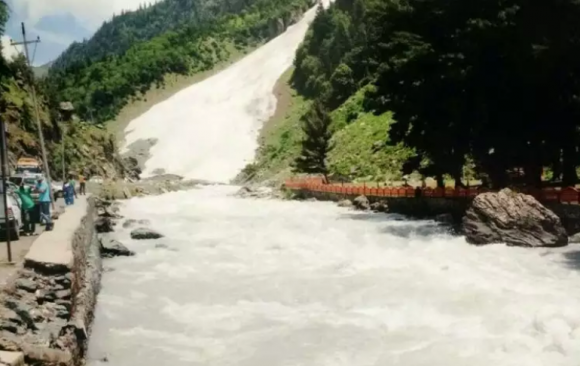 What to expect out of the Amarnath trek? Added by Indo American News on July 22, 2018. ‘Jai Bhole’ —This is what you will hear all the while when trekking up to the Holy Cave at Amarnath. Taking you to an altitude of 12,756 ft, the Amarnath Yatra is one of the most unforgettable of all my trips. The snow-clad mountains, the unpredictable weather and the simple yet tasty food offered by the langars are the just a few things that one would experience enroute the trek. Amarnath is considered a religious place by the Hindus. It is believed to house the cave where Lord Shiva explained the secret of life and eternity to Goddess Parvati. As one enters the Holy Cave, one can find a Shivlinga, naturally made of ice.